Founded in 1997, LIFETECH S.R.O. - based in Brno, Czech Republic - develops, designs and distributes equipment for water and air treatment and purification. It produces a range of treatment systems, including ozone generators for sanitizing air in homes and offices, and UV reactors for disinfecting (for example) swimming pools. The company also services its equipment, as well as equipment made by other manufacturers. Lifetech has about twenty employees overall, with five in the Development Department. Miroslav Zemánek is a developer at Lifetech S.R.O. There, he and his colleagues in the department work on new processes that will help improve air and water quality. The company has recently, for example, developed a system that uses ozone gas (which has long been used for disinfecting water) for air treatment. The department therefore needs to study the effectiveness and efficiency of ozone generators. Similarly, it studies UV lamps and reactors for water purifiers (helping to reduce the amount of chlorine needed in swimming pools, for example). Mr. Zemánek specializes in developing high-voltage sources and technologies, and is particularly involved with all matters concerning regulations. His work involves testing tasks that range from making output checks of finished products through to testing installations. Lifetech was initially interested in the Fluke 289/FVF multimeter because of the company's excellent experience with Fluke as a brand. Mr. Zemánek had also heard good reports of the Fluke 189 (the forerunner of the 289) from colleagues in a company using the multimeters on a daily basis. 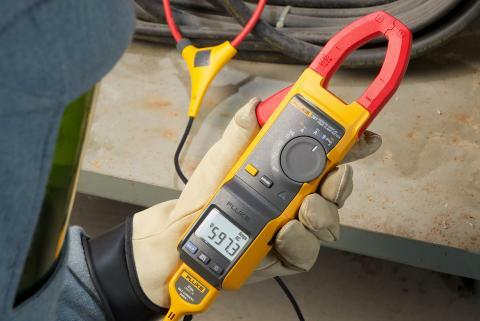 Lifetech already uses several Test & Measurement tools from Fluke like the Fluke 192B/S and 199C/S ScopeMeters, a Fluke 8846A bench multimeter and (within the service department) a Fluke 123/S ScopeMeter. So, the company is very familiar with Fluke instruments. Measuring up to 1000 V or 1000 A on both AC and DC ranges, the 289 is ideal for Lifetech's high-voltage work. The True RMS instrument is designed to solve complex problems. 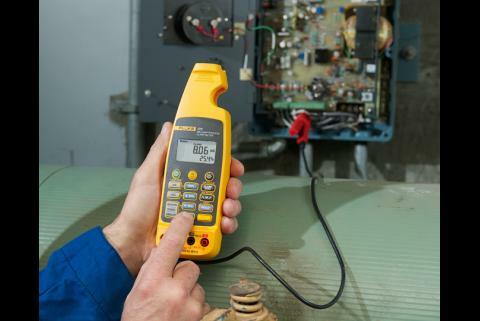 The Fluke 289 can measure parameters like frequency, duty cycle, pulse width and min/max/avg values. In addition, the built-in data logger with TrendCapture helps track down elusive, intermittent problems - the instruments monitor the equipment while the users are themselves off doing other work. Logged data can be overlaid from six meters or six time periods to find cause and effect relationships or for condition monitoring using the FlukeView® Forms (FVF) software from Fluke. In his work, Mr. Zemánek often has to watch for signal trends, and this is greatly simplified by TrendCapture - a feature that is particularly useful in the field. The data can simply be transferred to computer, where it is easy to see the trends and convert them into a report. 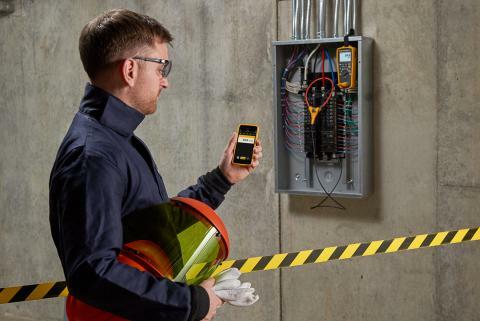 Lifetech's Fluke 289/FVF is most commonly used for reactivating and testing switched sources, which often involves setting up reference voltages and current loops. 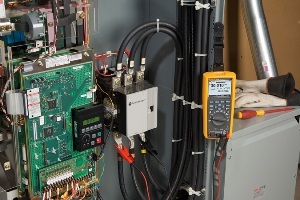 A variety of pre-defined measurements are available on the meter's rotary switch. For example, one pre-defined position measures diodes or capacitors and the menu options allow you to change this to a mode for transition measurements. If you need to carry out more transition measurements, you change the mode back using the menu options, and the tool remembers the last position of the cursor. Asked what he found to be the instrument's greatest advantage, Mr. Zemánek pointed to the wide bandwidth of both the voltage and current ranges, which he described as "unique". He also appreciates the basic performance of the instrument: the high precision, fast measurements, and bandwidth filter. Also its breadth of measurements: he can immediately switch from finding a signal's duty cycle, for example, to taking relative and min/max measurements. And, as in many laboratories, the work often needs LoZ measurements (Low impedance voltage function prevents false readings due to "ghost voltage." It is also the recommended mode when testing for absence or presence of live power). Even more basic measurements include the range of accessories that can be attached. 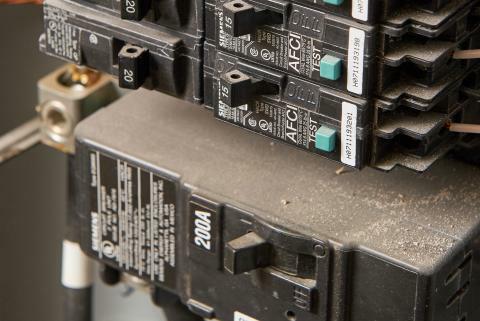 These can be valuable when working in the field - Mr. Zemánek often uses the magnet (FlukeTPAK) for attaching the multimeter to an electrical cabinet. One bonus of having a wide range of high-specification features is that different features turn out particularly useful for different users. For Mr. Zemánek and his colleagues, one such feature is the ability to measure semi-conductor junction voltages up to 3.1 V. They often come across installations using semiconductor devices with a threshold voltage of around 2.7 V.
2 V. That means reducing the threshold voltage when testing a transition, for example using a 1.5 V battery." According to Mr. Zemánek, their new 289 even surpassed the department's expectations. He himself owns a Fluke 89 IV, which also features Event Logging, and he is impressed by the extent of the improvements in the 289/FVF. He concludes: "The new tool simply goes beyond my expectations."